Architecture scholars believe courtyards and their amenities, from fire pits to bocce, date back to 3000 B.C. 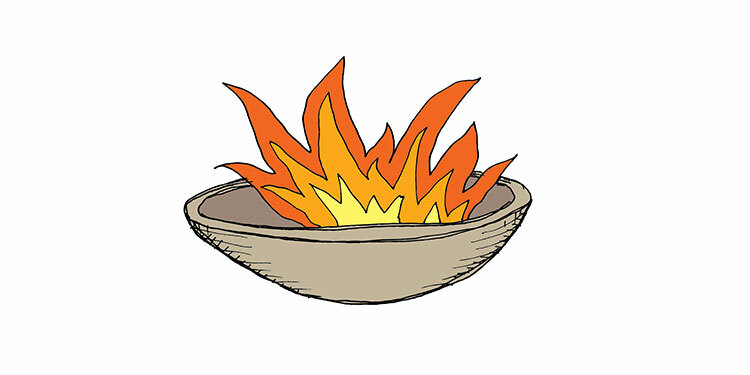 For cavemen, fire pits offered a means of survival: warmth, cooking, and weaponry. The famous Iroquois longhouses, built by Native Americans, contained no windows, just doors at each end with only an opening in the ceiling to allow fire-pit smoke to escape. Fire pits were located in the hallway and shared by the families. In other primitive cultures, communal fires were built at the mouths of caves to help protect the fire and keep it burning. Many generations later, despite advancements in windows and radiant heat, gathering around the fire is instilled in our DNA. And though a good fire source may not mean the difference between life and death anymore, fire pits are still essential for familial gathering and quality time. 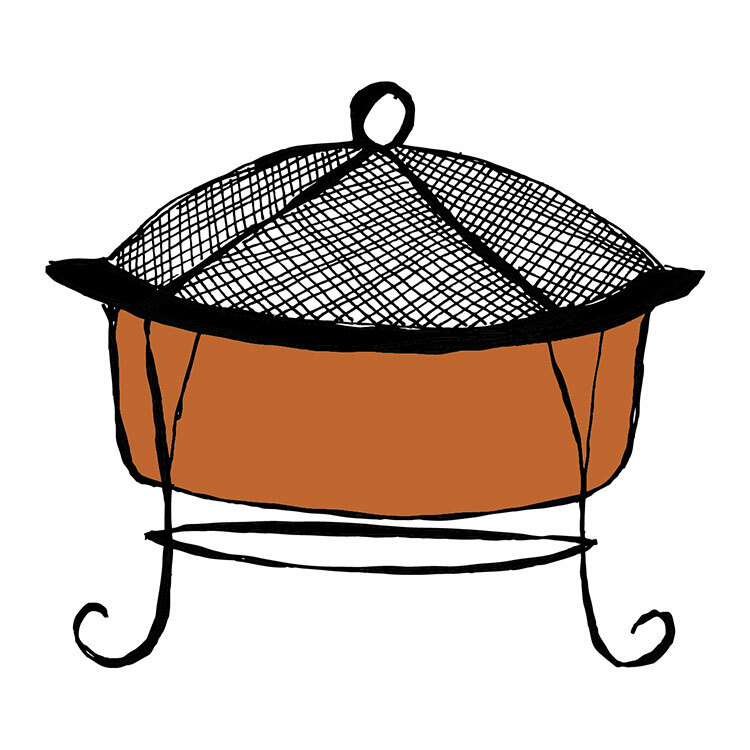 There are many ways to construct a fire pit, and even more ways to use your checkbook. The two most important considerations are location and budget. First, wrap your head around your space, taking into account wind direction and a location away from trees and shrubs. Next, determine how many people you want to fit around your fire. If you have children, how much traffic will need to parade through? This dictates how large an area you dedicate to your fire pit. If this is your Zen corner, then embedding the pit into the landscape or implementing a fireplace-style hearth may bring more satisfaction than accommodating marshmallow branches and ghost stories. Once you decide where to light a match and how many are invited, think about how you’ll use this space. Most DIY projects tend to be built in the round. If you’re building a fire pit out of pavers or constructing a high-end estate-style pit, rectangles, ovals, and squares add sleekness and help you lose a little of that “camping” feel. Go the distance and plan a layout that integrates rock gardens or an outdoor cooking and dining area. But if that’s too much to commit to or your landlord doesn’t share your vision, go the freestanding fire-pit route. This design gives you endless options for customizing and designing your space. Here’s an easy approach: lay out the bottom ring of your pit with stones in the grass. Dig out a six- to eight-inch-deep circle inside the stones. Once the hole is dug, pour in some gravel until it’s level with the ground (the gravel will ensure ample drainage). Build the pit by placing the ring of stones around the edge of the gravel circle and use a rubber mallet to situate the stones so they’re flat and even. Place a second row of stones, using masonry adhesive, in a staggered pattern on top of the row below. Use your mallet to even and tighten the stones. Repeat the process with the third row. This is the most styley upcycle out there—that, for the most part, is free if you shop at the dump. With a little sanding and grinding, a washing-machine drum creates a beautiful large lantern. House & Fig, a home renovation and design blog out of San Francisco, lends an easy step-by-step process that involves stripping the drum, removing all the plastic, removing the center spindle, and grinding or wire brushing the finished product. You can also paint the drum with a high-heat paint to improve the aesthetic (houseandfig.com/2013/01/20/10-diy-one-hour-recycled-firepit/). 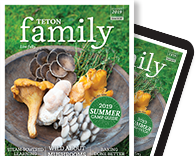 Buy a freestander at MD Nursery in Driggs, Festive Living in Victor, Big R Ranch and Home in Jackson, or Ace Hardware on both sides of the hill. Savvy shoppers can also check Home Again in Jackson. For a little inspiration, check out Westbank Garden Center’s freestanding fireplace in their garden area. There are also many options available online and through garden catalogs. Prices range from eighty to three hundred dollars and up. Fire has an innate enthusiasm for creating relationships by allowing emotional bonds to form around structure and warmth. Essentially, the Latin word for “hearth” is “focus,” which in English designates a center or activity of interest (for all you etymologists out there). When you invite fire into your life, you’re participating in an age-old history of gathering around the hearth, whether you choose a dug-out pit, a square marble slab, or a bonfire. Propane pits allow for immediate satisfaction. 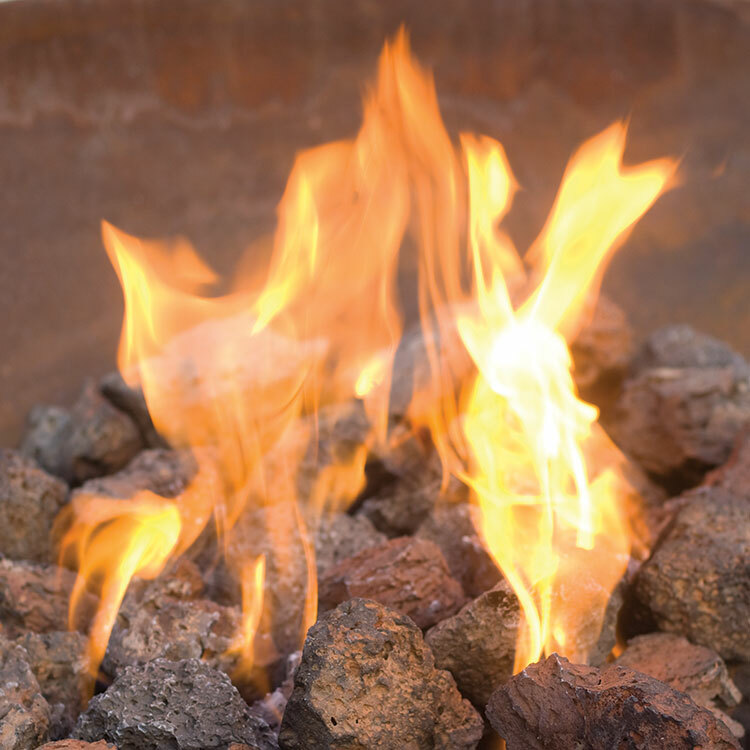 “Though propane fire pits cost quite a bit more, they are sometimes a good answer to a tight space,” explains Chris Koenig of BlueBird Landscaping. He suggests working with your local propane company and purchasing one of their fire pit kits. A propane line isn’t budging. Propane lights with the touch of a button. 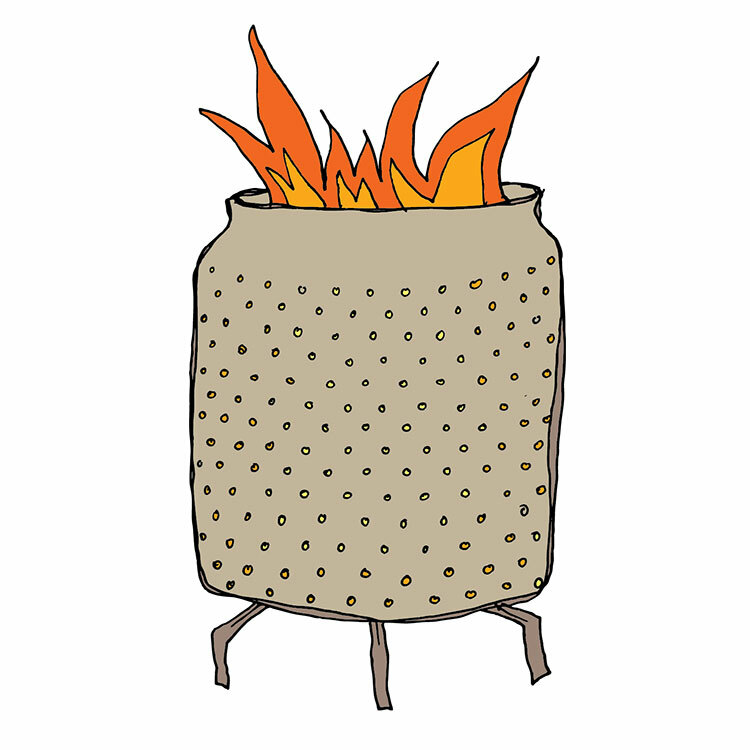 Propane systems have an adjustable flame. Just turn off the gas. No ash or soot to dispose of. Propane pits give off little smoke and no stench. 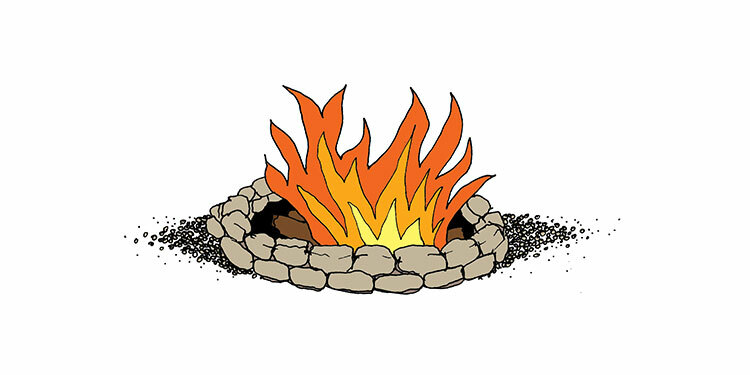 A freestanding fire pit can be moved. Wood pits take time to stoke. Wood pits shoot sparks and ash into the air. Wood pits require cleaning between uses. Wood emits a campfire smell.